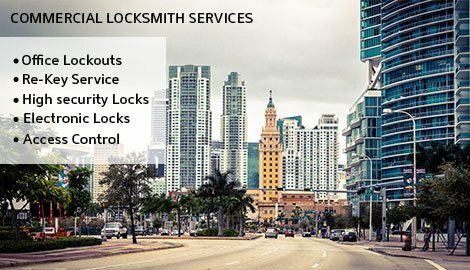 We provide solutions for commercial lockouts, install new locks and setup restricted locks, which work with specialty keys that cannot be copied. This gives you as the owner complete control over who can get access the various zones of your business. Any unwanted individual can never enter the building if he or she does not have the access. Restricted locks best for businesses working in a shared office building. Expert Locksmith Shopalso provides emergency locksmith services. It is very common for commercial clients to lose keys or face a non-functional lock or want security consultation on urgent basis. We ensure that you have very little downtime in the event of such emergencies. Our technicians have the equipment to refit your system quickly and on the spot so you are back in business in a matter of minutes. 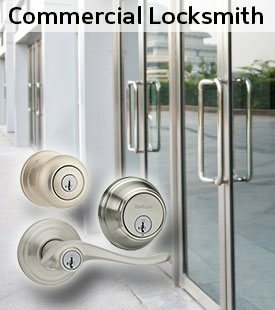 Expert Locksmith Shop is a specialist in advanced locking systems, both the design and the installation. Using these locks, you no longer have to worry about ex-employees gaining access or personnel secretly copying keys. These systems do not use regular keys and hence cannot be copied. They can be also used to reduce the number of people to a selected few who can access a sensitive area of the building. You, as an owner, decide who gets to enter and who stays out of your premises and you can make changes instantly. These systems are one of the most effective methods of assuring a high degree of security for employees, assets, and essential trade information. Our experts on staff can advise you which out of these advanced locking systems (digital locks, keyless entry locks and keypad locks, etc.) are best for your business. At Expert Locksmith Shop, we also understand master key systems. This method of providing security and different levels of access to a range of employees is flexible and suitable for many businesses. We also handle businesses like hotels and office buildings that have high traffic and a large number of locks. We can help you find the right system that keeps your business safe and secure. At Expert Locksmith Shop we believe that security needs of no two businesses are the same. Some businesses may require file cabinet locks and some may require push bars, all depending on their line of business. We fully understand that and help you develop locking systems based on your needs. Get in touch with us and we will assess your whole property and based on our assessment provide the best solution for you. One such solution is the installation of the master key system. You decide who gets to go where and you will decide the appropriate level of access for every individual in the organization. We can also help with a key loss on a 24-hour basis, helping you and your managers gain access to your premises when they need it. No matter what your need and no matter what the size of your business is, Expert Locksmith Shop can fix your commercial locksmith issues in a trice. Simply give us a call at 619-215-9182 today!